Remember those Listerine strips that were so popular back in the day? They are back but now infused with both THC and CBD. 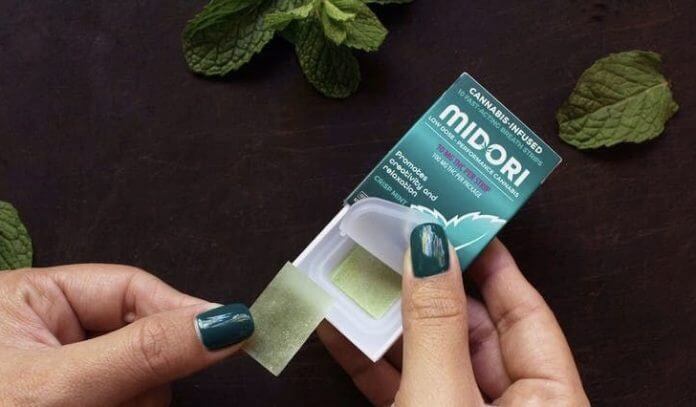 Instead of putting the strips on your tongue, you are supposed to put these THC infused strips under your tongue and it will instantly dissolve. The evolution of cannabis-infused products has brought a lot of innovative products to dispensary shelves over the last few years. Consumers have been introduced to an endless list of new ways to incorporate weed into their lifestyle. We have seen products from cannabis coffee beans to CBD and THC lotions or even THC infused Tampons and the list goes on and on. THC strips offer a discreet way to get a dose of THC anytime, anywhere. These types of dissolvable strips are especially useful for those who take THC or CBD for medical reasons. THC strips are just one in a long line of cannabis dosing methods that include, smoking, dabbing, edibles, tinctures, waxes, oils, shatters, and pretty much everything else that you can think of. The strips are great as they provide increased bioavailability because the cannabinoids are absorbed directly into an artery (sublingual) (where the THC takes effect). From the sublingual artery, the unfiltered THC travels to the external carotid artery, to the internal carotid artery, and then to your brain. For now, Kin Slips are only available in select California dispensaries and although the company has no immediate plans to expand into other cannabis markets in legal states at the moment, they do have plans to add more flavors and fine-tune new blends for more specific experiences. However, there are a handful of brands that currently offer the THC strips.